Light and delicious plus simple to make. A winner on any menu. Combine KNORR Lime Powder and water and whisk until smooth. Add sliced scallops and let sit for 30 mins. Combine cucumber, radish, tomato and eschallots together. 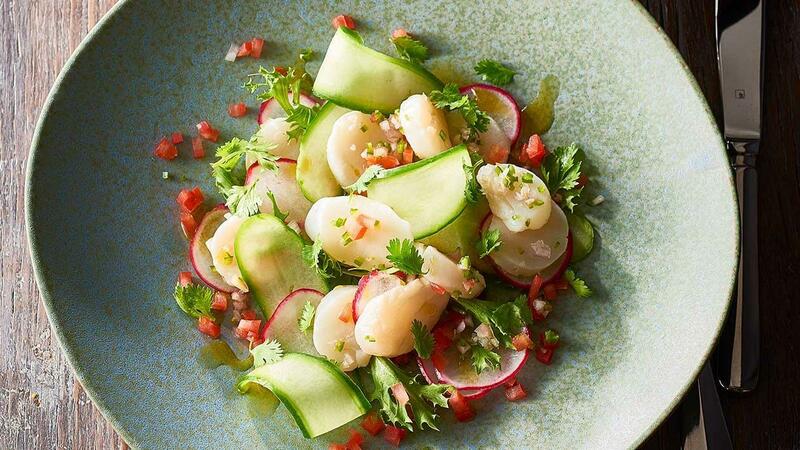 Add scallops to salad and toss to combine, place on serving plate and drizzle with oil, top with coriander and serve with tortilla crisps and limes.